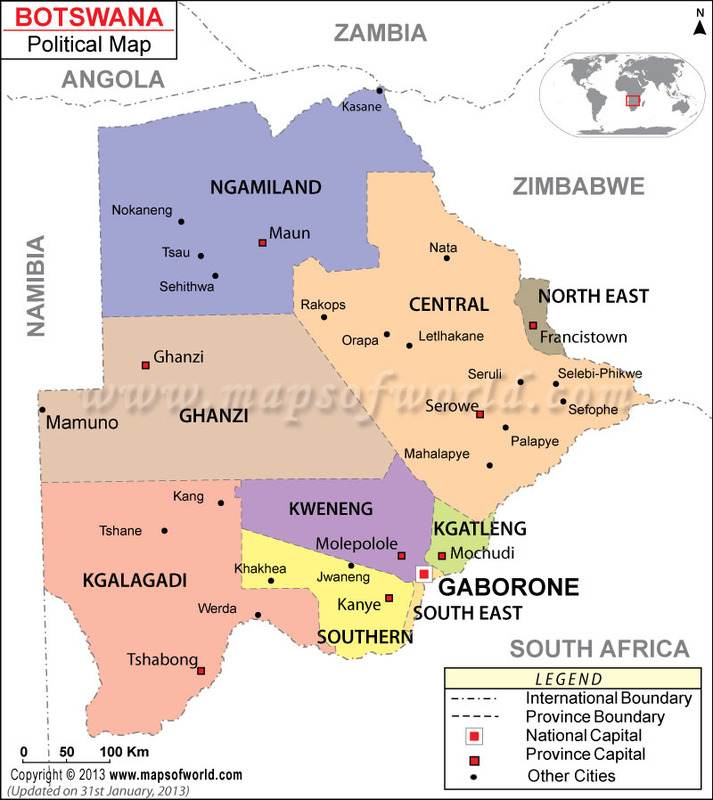 The nation of Botswana is surrounded by land from all the sides in the continent of Africa. The climate of Botswana can be described as to be of the partially dry nature. For the major part of the year, the climate of Botswana remains dry. In the summer months, the weather of Botswana undergoes little change and the land receives irregular rainfall. The rainy season at Botswana is not regular. It is very inconsistent in character. The nation of Botswana is far-off the marine areas. The geography of Botswana is also characterized by deserts. Botswana facts shows that the temperature of the place rises up to 38º C and at some junctures it can even shoot up to a sweltering 44º C. The word, which is used for rain in Botswana is "Pula". The summer season at Botswana starts in the month of November and continues till March. The winter season begins in May and continues till the August month. The humidity on Botswana during the summer season remains at around 60 to 80 percent at the morning time and shifts to 30 to 40 percent at the afternoons. In the winter season, the humidity of the region varies between 40 and 70 percent in the mornings and 20 to 30 percent in the afternoons. The tourists to Botswana can visit the place comfortably in the months of April to October. The tourists visiting the place during these months can also see the wild life of Botswana at its best.